When Fitbit (NYSE:FIT) reported its third-quarter earnings in late October, the shares got a nice boost, jumping by close to 26% to $6.10. The company reported adjusted earnings per share of 4 cents, while the Street was looking for a loss of 1 cent a share. It was actually the first quarterly profit in two years. Unfortunately, the FIT stock price gains proved fleeting. Note that the shares are now at $5.20. If anything, the spike in Fitbit stock had much to do about short covering (this is when short sellers buy back the shares to cover their positions). Although there were still positive fundamental factors for Fitbit stock as well. Keep in mind that the company has been serious about getting its cost structure more streamlined. During the past year, operating expenditures have dropped by a hefty 17%. FIT has also continued to innovate with its product line, as the company’s entry into the smartwatch business has been impressive. In about 14 months since launch, the Versa is currently No. 2 in the US market. Oh, and yes, the company continues to get traction with the Fitbit Charge 3, which is a traditional fitness tracker. Even more importantly, the wearables market continues to see strong growth. Just look at the latest numbers from IDC. In the latest quarter, the global shipments for wearable devices hit 32 million, up nearly 22% on a year-over-year basis. A big source of the growth came from the Asia/Pacific region, which represented over half of the shipments. So, given all this, things should continue to look bright for Fitbit stock, right? Maybe the current price is a good entry point? Well, for the most part, I still think there should be some caution. First of all, FIT is still primarily a US player and the market is slowing. According to the IDC numbers, there was a decline of 0.4%. 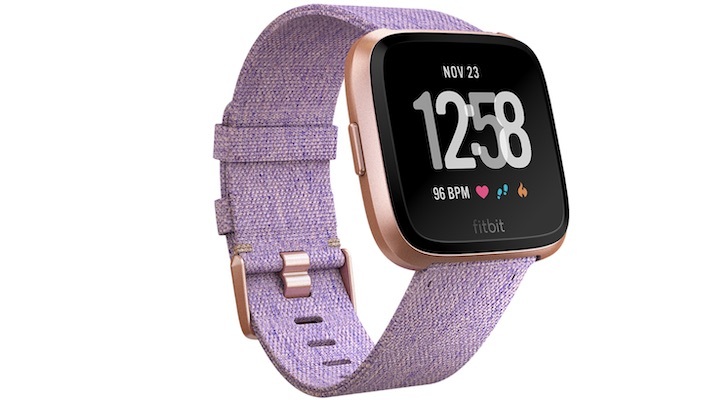 The report also showed that Fitbit suffered a decline in market share, going from 13.7% last year to 10.9% in 2018. This puts it at No. 3 in the global market, behind Apple (NASDAQ:AAPL) and Xiaomi (OTCMKTS:XIACF). In light of this, it should be no surprise that Fitbit has struggled with its top-line. In Q3, revenues came to $393.6 million, compared to $392.5 million in the same period a year ago. Consider that there was a drop in device volumes during this period. In other words, the growth was made up by higher pricing. Next, the services business has been a disappointment. The revenues are below 1% of the total revenues. This means that Fit is having a tough time converting its user base, which is at 25 million. So what about Fitbit’s healthcare segment? Might this be a driver? Perhaps so. But it is still immaterial to the business (at less than 1% of revenues). True, the company has been signing up health plans. But making inroads in the industry can take time because of regulatory barriers and the need to prove the efficacy of new systems. In terms of the balance sheet, Fitbit is on solid ground. Note that the company has $623.3 million in the bank. By comparison, the market value on FIT stock is $1.2 billion. In fact, the valuation is fairly reasonable, at 0.86 times sales. Yet a stock can languish for a prolonged period if there isn’t much of a growth story. This has happened with other broken consumer hardware stocks like Nokia (NYSE:NOK), BlackBerry (NYSE:BB) and GoPro (NASDAQ:GPRO). So, unless Fitbit finds a way to regain sustained growth — which is far from clear right now — the shares are probably more of a play for short-term traders, not investors. Article printed from InvestorPlace Media, https://investorplace.com/2018/12/fitbit-stock-still-not-healthy/.